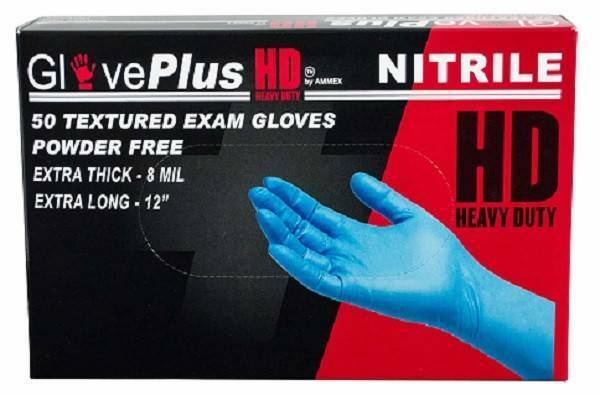 These extra strong (8 mil thick), extra long (12") exam grade nitrile gloves offer exceptional resistance to rips and tears. 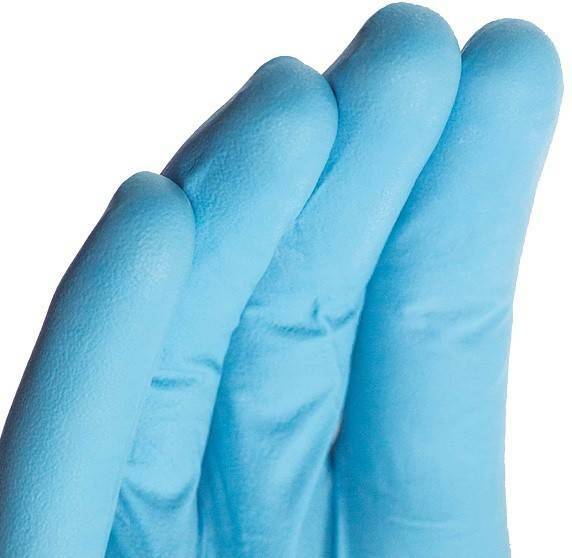 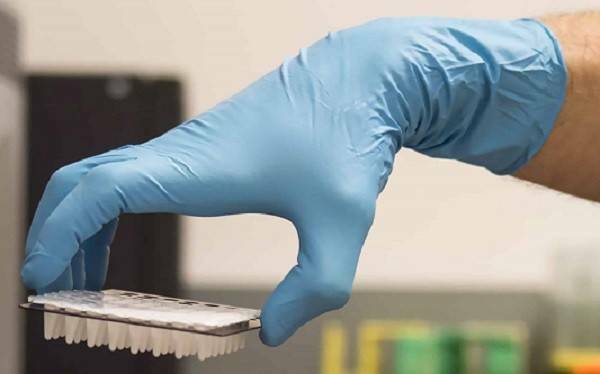 This nitrile glove is an excellent choice for medical professionals in high risk environments featuring possible exposure to blood borne pathogens like those faced by EMTs. 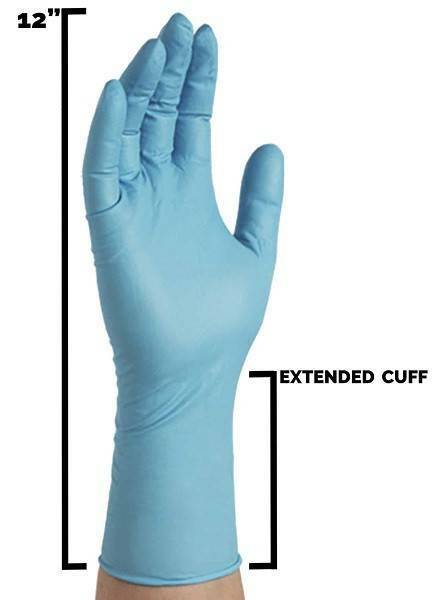 They also protect the wrists and lower forearms better with their extended length. 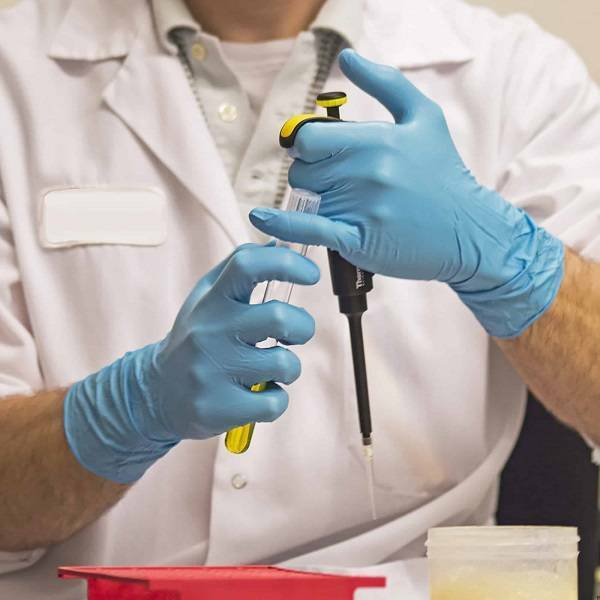 Free from latex proteins and powders that could leave residue in paints or other fine finishes.